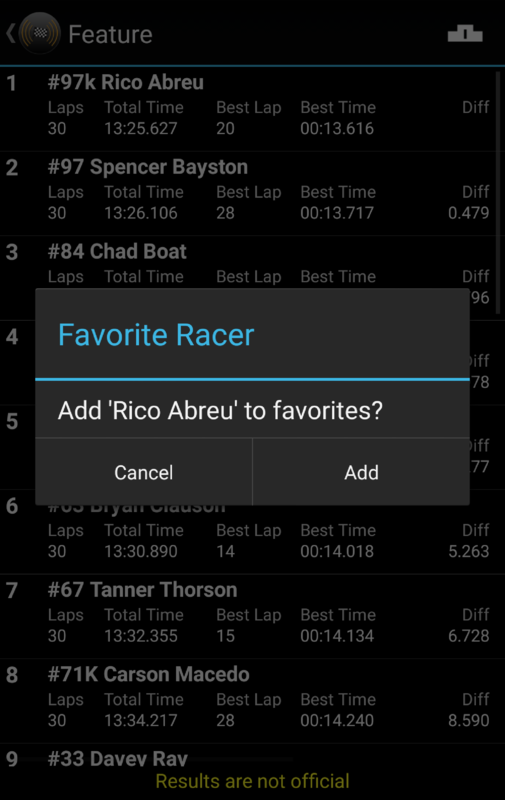 Within Race Monitor, you can favorite races and racers to easily access them in the future by going to the Race Results section and selecting the Favorite section at the bottom of the screen. On the race information and results screens, you will find a star button in the top-right-hand corner of the screen. A solid star indicates that the race has been favorited, an outline of a star indicates that the race has not been favorited. Tap on the star to toggle on/off. 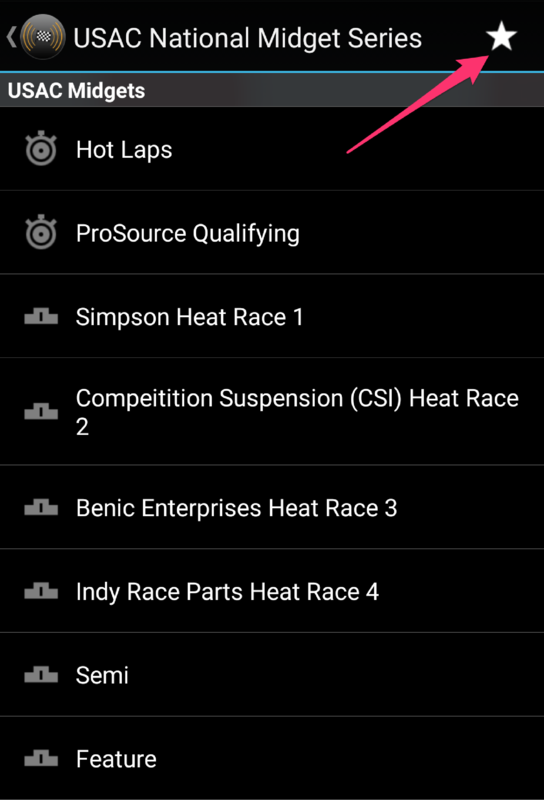 You can long-press on a racer in live timing or within results to access the option to favorite a racer. With favorited racers, you can easily access all the results that we have for them in our system that match their transponder number and last name. 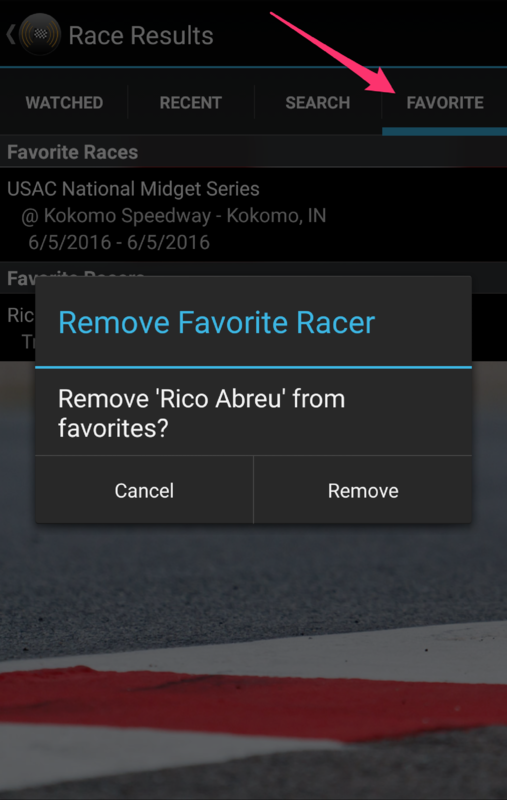 To unfavorite a racer, long-press on the entry within the Favorite section and choose the option to remove them from your favorites.